Fouquereuil is a village three kilometres west of Bethune. 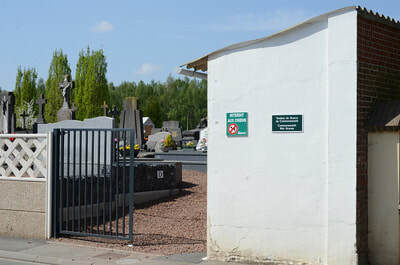 The Communal Cemetery is on the road to Annezin. 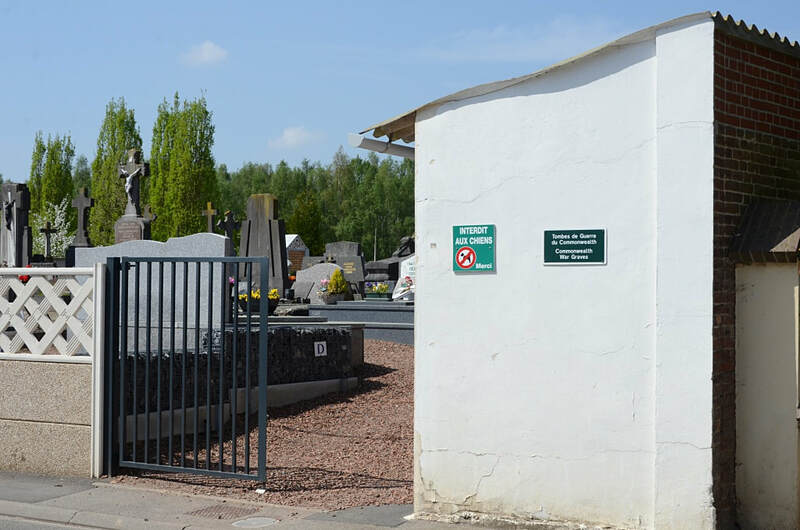 Fouqereuil Communal Cemetery contains two Commonwealth burials of the First World War. 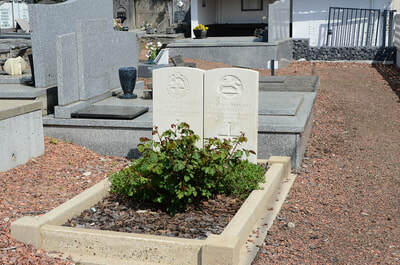 24117 Private Thomas Wilson, 2nd Bn. East Lancashire Regiment, died 5th February 1917, aged 23. 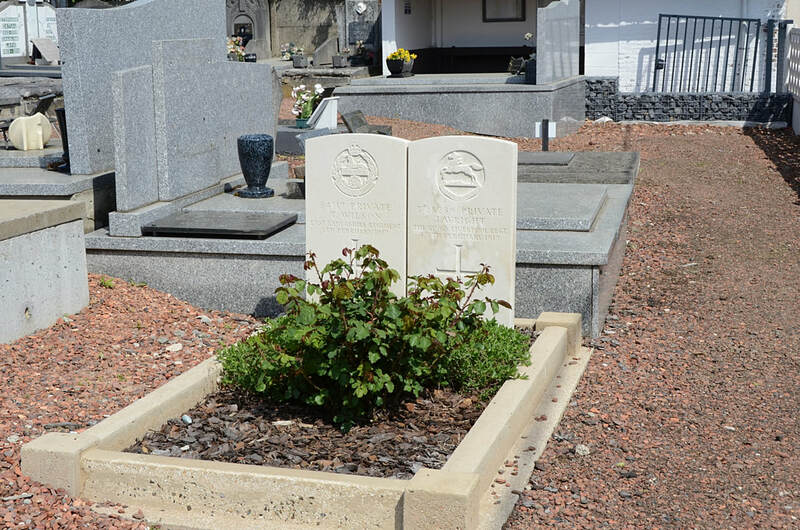 Son of William Henry and Margaret Ann Wilson, of 10, Greenbank St., Cloughfold, Lancs. 3/28289 Private John Wright, 3rd Bn. attached to 1st Bn. 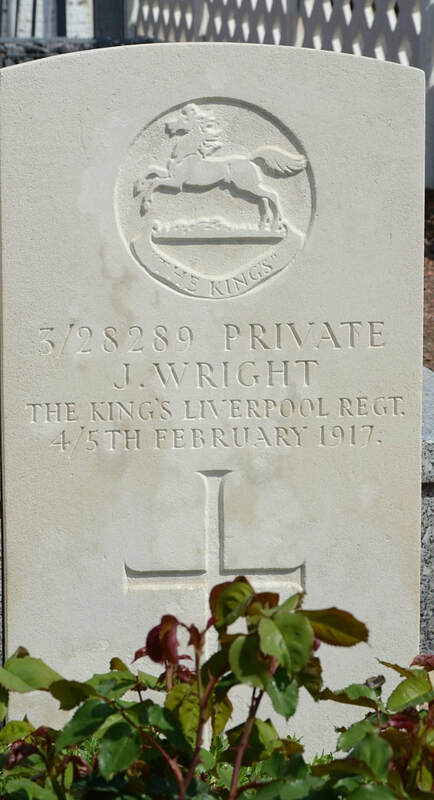 The KIng's (Liverpool Regiment), died between 4th February 1917 and 5th February 1917.